Cheryl Malik is the creator of the 40 Aprons website, a fantastic resource for healthy recipes. 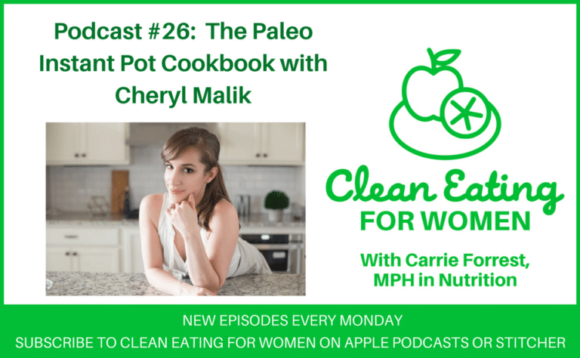 During our interview on episode #26 of the Clean Eating Podcast, we talk about her new book, The Paleo Instant Pot Cookbook. 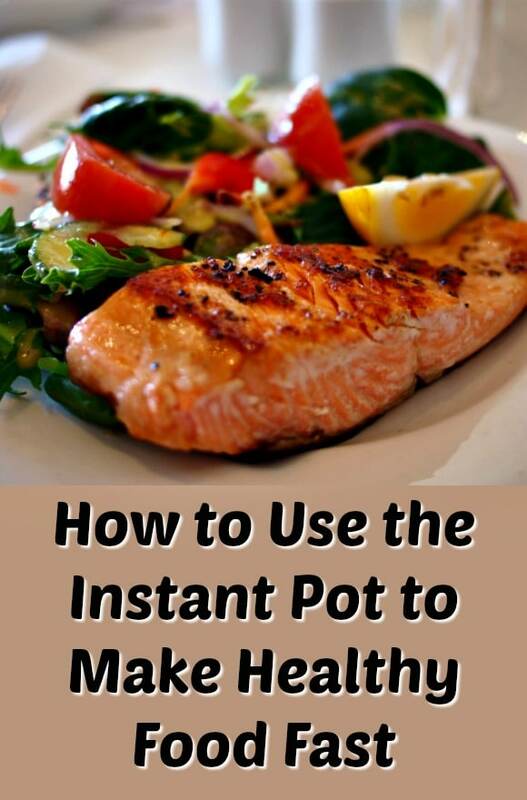 Instant Pot – I purchased and recommend the 6-quart version. Join Carrie’s Clean Eating Challenge! Join the Clean Eating for Women Community! Don’t miss new blog posts! Join my weekly newsletter list to get all the latest news and recipe links delivered directly to your inbox. Sign up now and unsubscribe at any time. I will never sell your name or spam you, I promise. 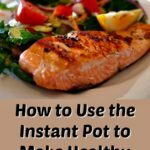 I have heard so many people rave about the instant pot! I may have to look into one! 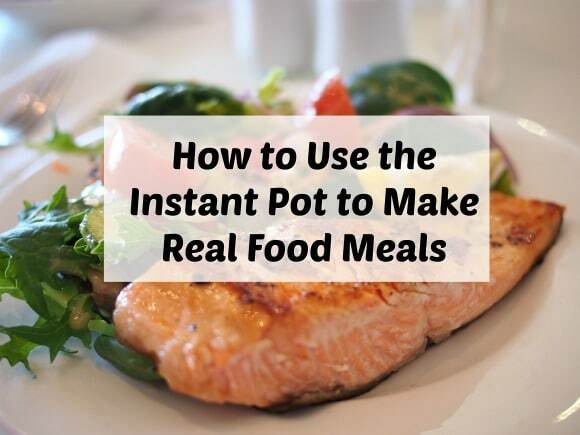 We love our instant pot! We’ll definitely need to try out some of these recipes! Yum! I found the IP really useful to create both fancy and no fuss means. Plus, oh the convenience… and always ready to learn more. I LOVE my Instant Pot! Cant wait to try these recipes! this looks like such a great recipe! I can’t believe I still haven’t got an instant pot with all the other contraptions I have in my kitchen! Hi there! I’m Carrie Forrest, MBA, MPH in Nutrition. I share gluten-free and dairy-free recipes using real food ingredients. CLICK HERE TO LEARN MORE. Hi! I’m Carrie. Subscribe to my email updates or learn about me here. Disclaimer: The information on this blog is not intended to be and should not be interpreted as medical advice or a diagnosis of any health or fitness problem, condition or disease; or a recommendation for a specific test, doctor, care provider, procedure, treatment plan, product, or course of action. Consult your physician before making any changes to your diet or exercise program.